Amy Schmitz Weiss is an associate professor in the School of Journalism and Media Studies at San Diego State University. She received her Ph.D. from the University of Texas at Austin in 2008. She is the recipient of the 2014-2015 ONA Hack the Curriculum Grant that explored the use of sensor technology for environmental news coverage in her journalism class. She is also a 2011 Dart Academic Fellow. Amy is the 2011-2012 recipient of the AEJMC Bridge Grant with funding from the John S. and James L. Knight Foundation that led to the creation of a mobile news app, AzteCast, for the San Diego State University campus population. Amy teaches journalism courses in basic writing and editing, multimedia, web design, data journalism and mobile. She also is a former journalist who has been involved in new media for more than a decade. She has worked in business development, marketing analysis and account management for several Chicago internet media firms. 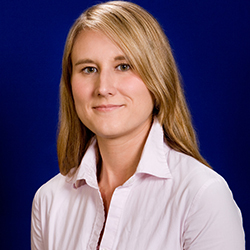 Amy has presented her research at several national and international conferences. Her research interests include online journalism, media sociology, news production, multimedia journalism and international communication. Her research has been published in several peer-reviewed journals, as book chapters and in a book she co-edited. For more information, check out digitalamy.com or find her on Twitter @digitalamysw.